New Tripawds Friends Function, Etc. Been doing quite a bit behind the scenes here the past couple days. Some tests resulted in not so good results, but other tweaking means we have a new feature to announce and feedback to request. 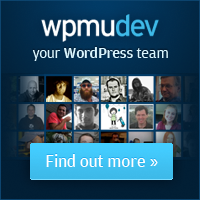 The WordPress MU gurus over at WPMU Dev Premium informed us about their exciting new Global Site Search plugin. This would allow readers of Jerry’s main three legged dog blog to search for key words or phrases and get results from all Tripawds Blogs. Great! It just didn’t play nice* with our SimplePress Forums plugin, so we’ll be awaiting the next update before trying that again. I’m happy to say, however that the new Tripawds Friends feature seems to be functioning just fine, thanks to our new WPMU Dev Premium Friends plugin! All Tripawds Bloggers will now notice two new items in their dashboard. The Friends tab will let members search for friends by username, and then add them to their own Friends list. Also from this tab, you can enable or disable email notifications for when another member adds you as a friend. Do you find this fun, or is it just getting way too Twitter? Should we enable an authorization feature which would require your approval of another member’s friend request before they could friend you? *Note to any SimplePress users / WPMU Dev Premium Members out there: Can you replicate forum pages not rendering with Global Site Search enabled? Posted on October 9, 2009 October 10, 2009 Author jimCategories AnnouncementsTags feedback, forums, new feature, plugins, wpmu dev premiumLeave a comment on New Tripawds Friends Function, Etc.